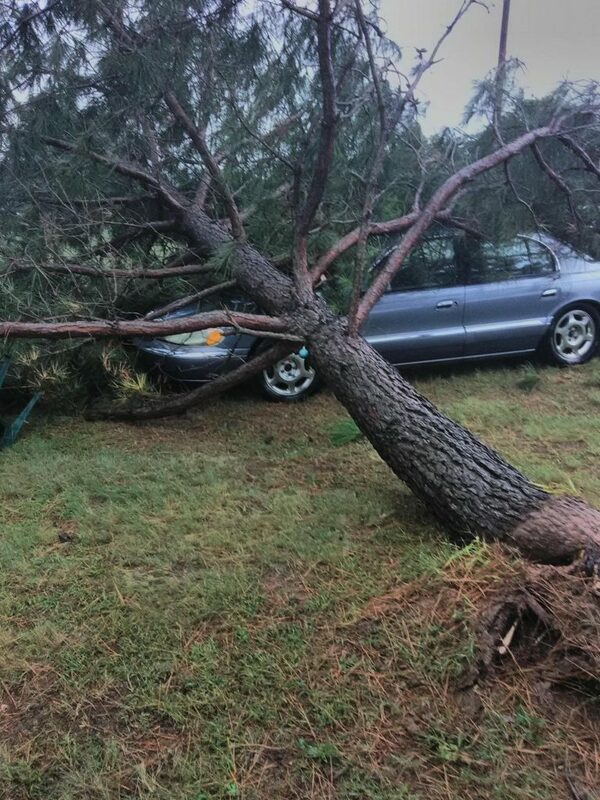 David Payne had not been storm chasing for a while. He said he didn’t really expect to Tuesday morning as he took his daughter to school. 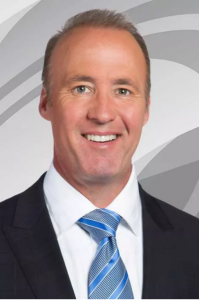 The News 9 Chief Meteorologist had warned viewers on Monday night about the possibility of severe weather, but not early in the day. He thought it would hit later. 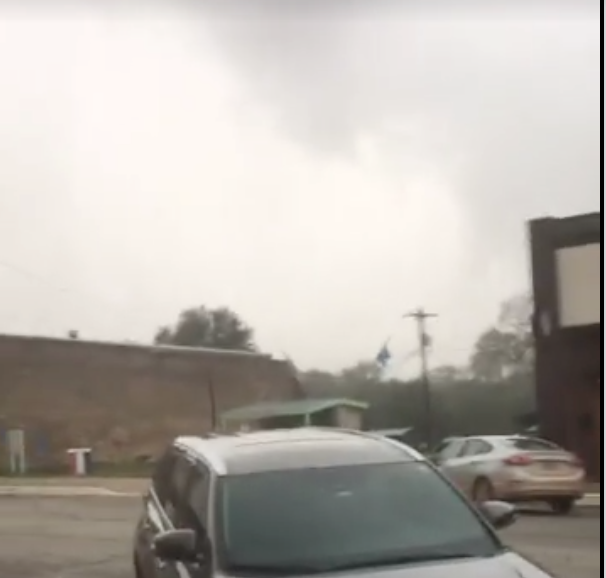 When the storms began brewing, and he didn’t have on his suit to head to the station, Payne found himself storm chasing toward Luther about 8:45 am. 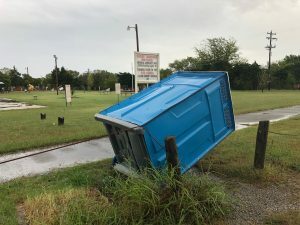 He was at Hogback Road and the Turner Turnpike at the moment that 80 – 90 mph winds and a possible tornado was overhead in Luther, as part of a tricky storm system that might have produced about ten small tornadoes across the metro area. 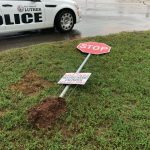 Payne told The Luther Register that the force rocked his vehicle, and he saw a few shingles flying off of a nearby home. There were some limbs and leaves off of the trees and trash cans strewn. The warning in Luther worked, and is part of the effort of the volunteer Luther Fire Department and Luther Emergency Management System. This is something we have been working on for the past year so we could be ready if we ever were to need it. That is the same siren you will hear on the first Saturday of every month at Noon as long as weather permits. We cancelled last week’s test due to the weather as we do not want to startle the citizens when we do have bad weather,” said Luther Fire Chief John Brown. 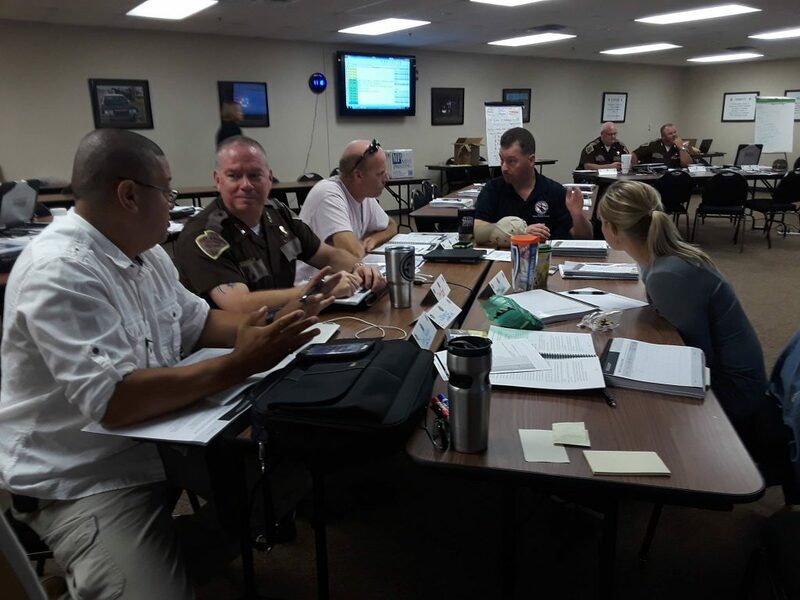 The Luther Emergency Management Team participated in training in July. (FB photo). The sirens blared as the sheer winds and wind wrapped rain blew through from about the turnpike entrance through Town proper. Luther Public Schools got all students in shelters and there were no reports of injuries or significant damage in the area. Then he stopped by home to get that suit and went to work for a long day ahead of weather reporting.